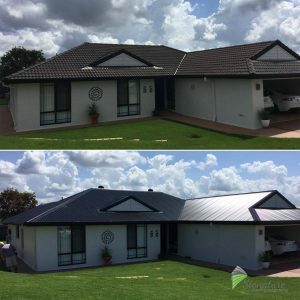 IT IS IMPORTANT THAT YOUR ROOF IS IN GOOD CONDITION. LET THE EXPERT ROOFERS AT SIGNATURE ROOFING AND GUTTERING TAKE CARE OF YOUR RENOVATION NEEDS WITH A ROOF REPLACEMENT. 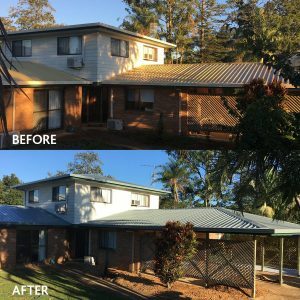 A roof replacement is the process of installing a new roofing system in place of an existing roofing system and the experienced team at Signature Roofing and Guttering offer a great range of roof replacement services for both home and commercial buildings throughout the Sunshine Coast, Brisbane and surrounding areas. If you have an existing tile roof, our experienced team of roofers and roof contractors can offer a roof replacement using quality Colorbond® that will look great and add value to your home. If your roof has a leak or light storm damage, it may be possible to repair. However, sometimes the timber and tiles may have deteriorated so much that a roof replacement is necessary. 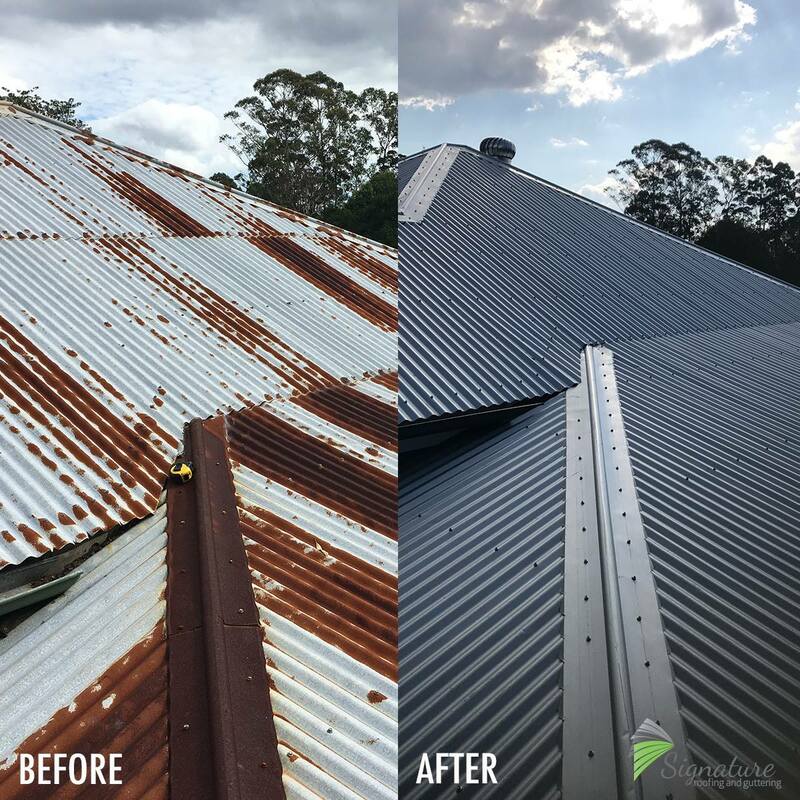 Signature Roofing and Guttering provides quality roof replacements with expertise and experience to ensure your roofing job is carried out with minimal disruption and costs being incurred. Want to know how much a roof replacement will cost or need an assessment on your home to make the decision? No matter how small or large the job, contact us for more information or complete our FREE quote form below and we will be in contact with you organise a time. REQUEST A FREE ROOF ASSESSMENT NOW! 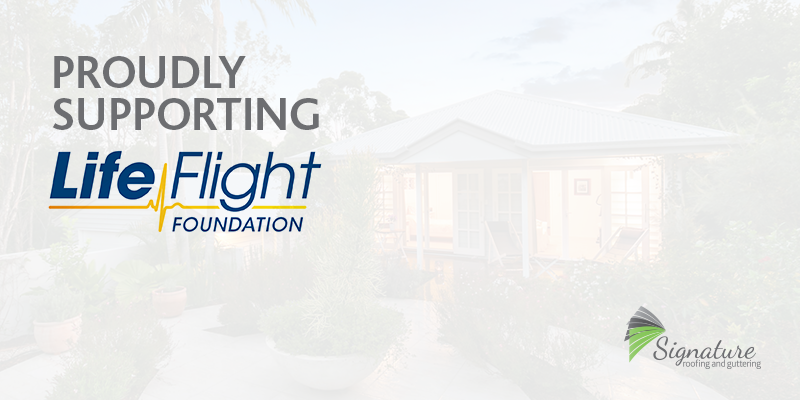 $50 FROM EACH PRIVATE DOMESTIC REROOF THAT THE TEAM COMPLETE WILL GO TOWARDS LIFEFLIGHT FOUNDATION.